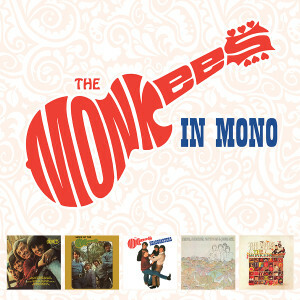 Friday Music is no stranger to the amazing recording career of The Monkees. As a tribute to the band, the music and the memories, we are very honored to announce the colossal audiophile vinyl box set The Monkees In Mono. Mastered for the first time for audiophile vinyl from the original Colgems Records monophonic tapes by Joe Reagoso (The Monkees), this super limited edition deluxe box set features their first five mono albums: The Monkees, More Of The Monkees, Headquarters, Pisces, Aquarius, Capricorn & Jones Ltd., and The Birds, The Bees & The Monkees, all in their restored individual stunning LP covers, housed in a beautiful full color sturdy box.